Christmas time comes with the best food of the year. After all, January diet plans exist simply because we’ve all consumed our weight in prosecco, mince pies and pigs in blankets over the festive period. So, with the return of chilly November and our winter wardrobes, comes the innovative invention of all things Christmas food. And while Costa decided to take on pigs in blanket with a mouth-watering mac and cheese twist and Greggs has brought back their festive bake, sandwich shop EAT has focused on the nation’s love for Yorkshire puddings. As part of this year’s Christmas menu, the lunch food chain is releasing a giant Yorkshire pudding wrap full of all our favourite Christmas dinner goodies. Labelled as the ‘ultimate seasonal treat’, the Yorkshire pudding is filled with turkey, sage and onion stuffing, crispy bacon, sage mayonnaise and cranberry sauce for a festive flavour explosion. And you can get it for only £4.99, which is a big saving if you’re craving a Christmas dinner. As well as the flavoursome wrap, the lunch eatery’s Christmas menu will also include a pigs, mash and gravy dish, pigs in blankets pots with cranberry sauce and a festive mac ‘n’ cheese topped with sage and crispy fried onions. 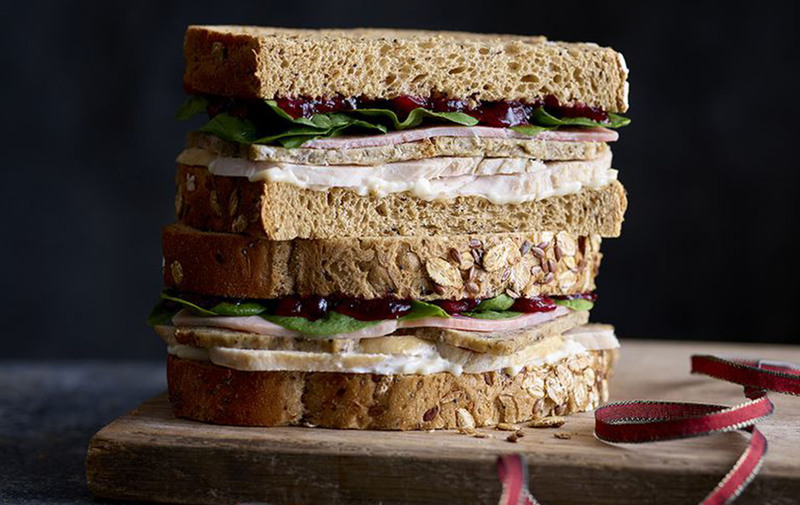 You can also choose from a range of other festive sandwiches, including a baguette filled with turkey, stuffing, bacon, cranberry sauce, chicken mayonnaise, spinach and crispy onions, a vegetarian version with brie and crunchy nut stuffing, sweet peppery cranberry sauce and spinach, and a turkey and cranberry sandwich. 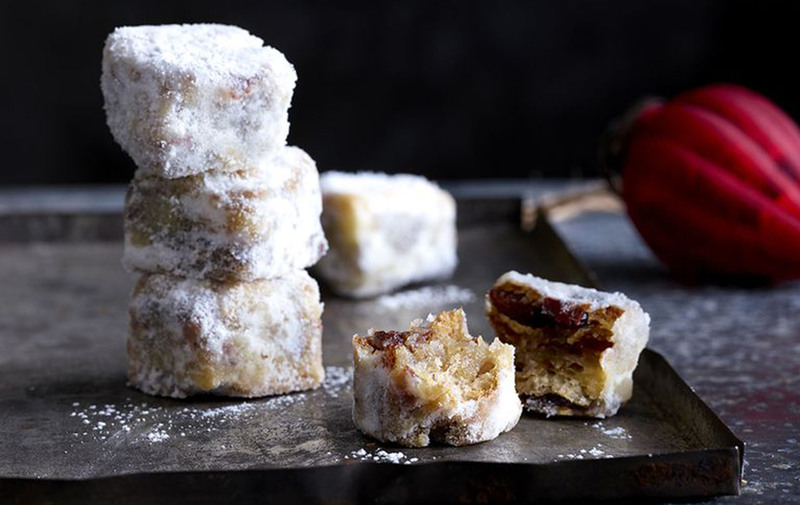 Or if you’re feeling something sweet they’ve got a whole festive desserts menu on offer, which features a mini Yule log, a salted maple caramel and gingerbread cake, mini stollen bites and, of course, a classic mince pie. Created by the sandwich chain’s executive chef, Arnaud Kaziewicz, who was a finalist on the 2016 season of MasterChef: The Professionals, the menu will be available in branches from 7 November. We know what we’ll be eating for lunch until 25 December!